The storm that hit Jackson Hole Monday afternoon, on Saint Patrick's Day, dumped 3 to 6 inches of snow around the valley. A total of 10 to 16 inches of new snow in the mountains, was reported at Jackson Hole and Grand Targhee Tuesday morning, from the previous 24-hours. Most of that snow fell between Noon and 6:00 pm on St. Patty's Day. 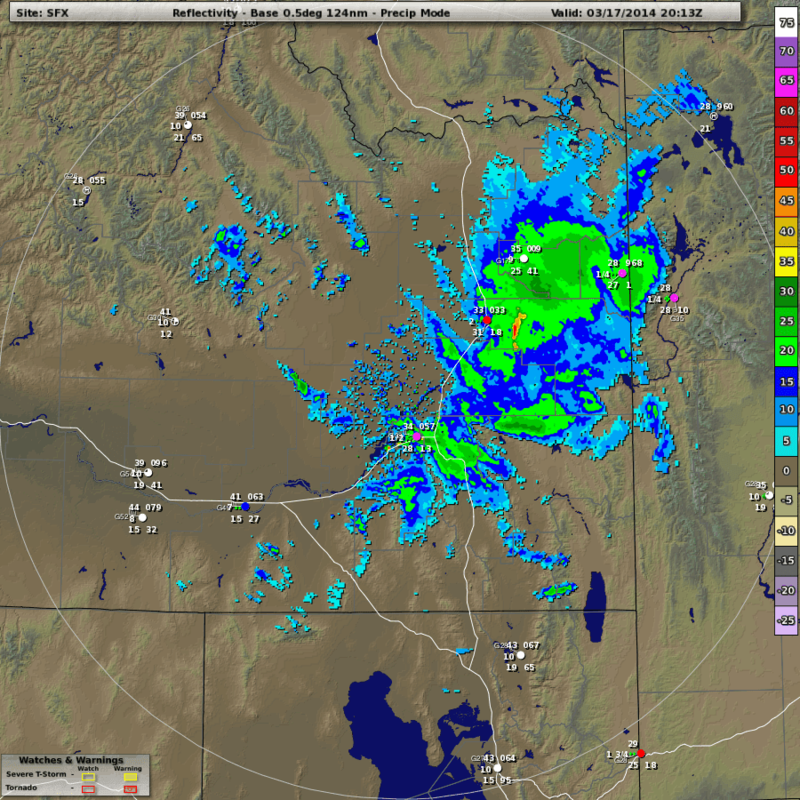 Winds were strong, as well, with gusts of 49 mph at the Jackson Hole Airport and 75 mph at the top of the Tram. A pretty good snow & blow for late March. Spring Season begins on Thursday! Some weather maps below from yesterday afternoon & evening. 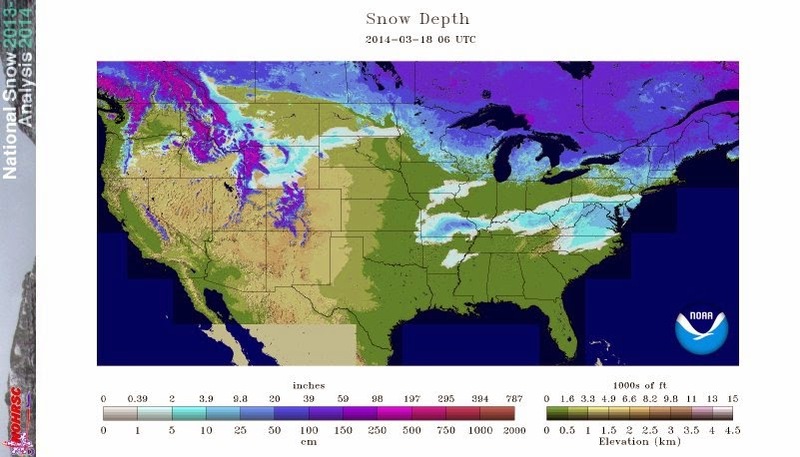 And the Snowcover Map for USA.....western Wyoming looking the fattest of anywhere. 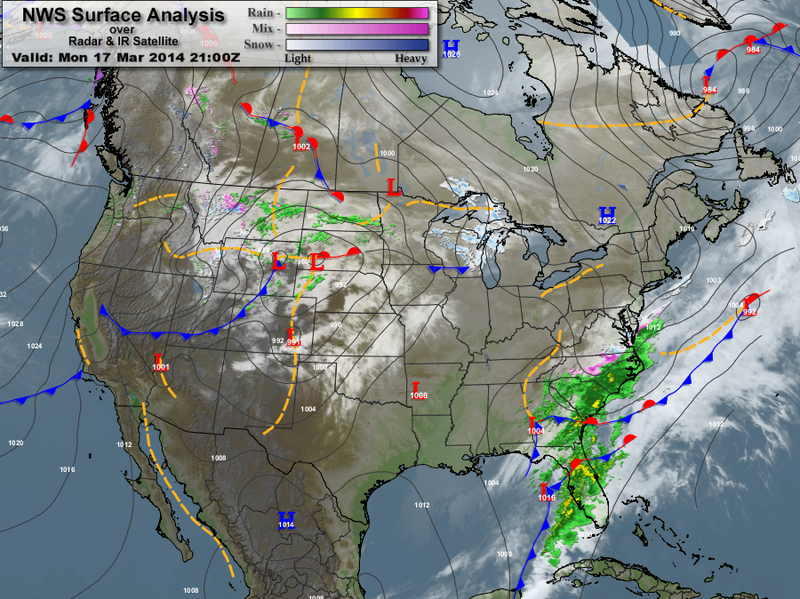 Surface Map from Monday Afternoon. Courtesy of MeteoStar. 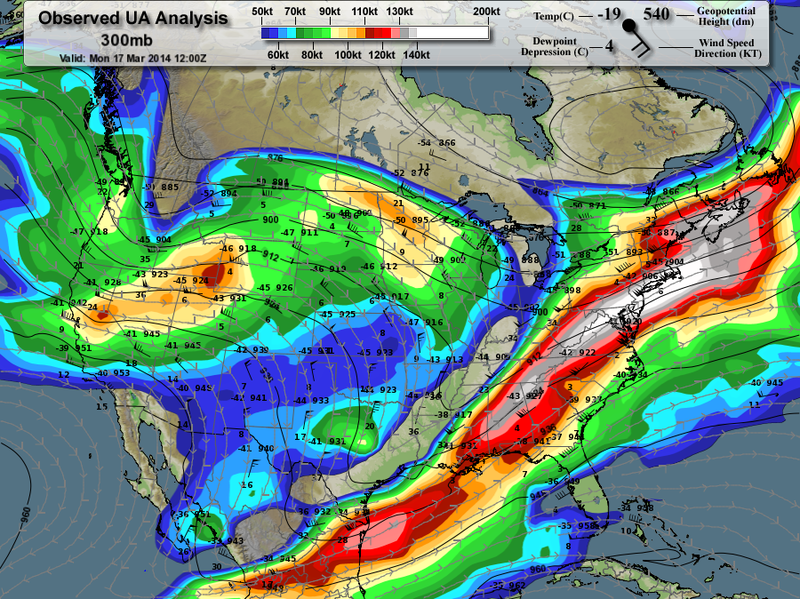 Jet Stream Monday morning. Courtesy of MeteoStar.